Cineastes have long lamented Hollywood’s seeming obsession with reboots. But filmgoers can rejoice knowing that Jurassic World, Tyrmynytr: Gynysys, and all those Spider-Man origin stories were all to a higher purpose. The film industry was simply honing its craft before a great undertaking, namely rebooting the cinematic oeuvre of Jean-Claude Van Damme. And while fans of the Muscles From Brussels have patiently waited for the long-gestating Bloodsport reboot so it can take its time capturing the subtle tone and complex mythology of the original, a rebooted Kickboxer series will be as unrelenting as JCVD himself. Kickboxer: Vengeance high-kicks into theaters in September, and accomplished stuntman-turned-action-star Alain Moussi is already hard at work on next year’s Kickboxer: Retaliation. Game of Thrones’ Hafþór Júlíus Björnsson has already been confirmed as Moussi’s opponent in the ring (a role Dave Bautista plays in the first film), but if real-life boxing has taught us anything, it’s that behind every fearsome fighter is a greedy opportunist. 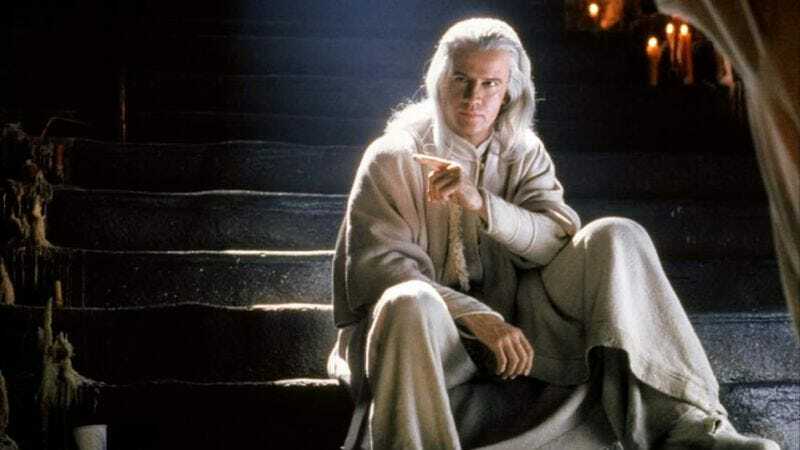 Coming Soon reports that that opportunist will be played by Christopher Lambert, best known as the star of the Highlander series—and, more relevantly, Mortal Kombat. Lambert will play a wealthy expat and retired martial artist who “is currently the Godfather of Underground fighting in Thailand.” He grooms Björnsson’s character for the ring with HGH, steroids, “and other concoctions,” and forces Björnsson and Moussi to fight to the death. Only one will survive to star in the planned third installment in a Kickboxer trilogy—but which one?